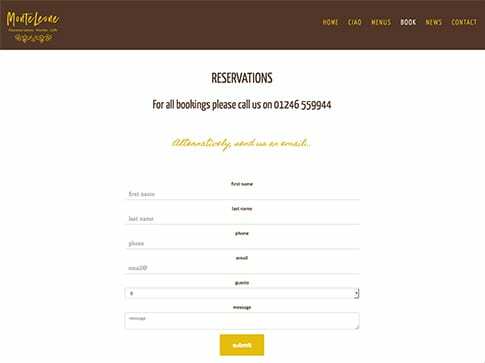 MonteLeone Ristorante Italiano is a truly authentic Italian restaurant, wine bar and cafe based in the heart of Chesterfield. 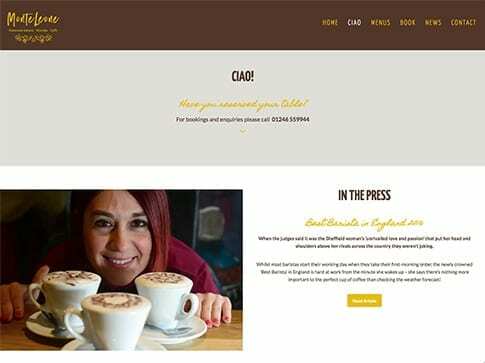 The owners include an award-winning chef Guiseppe Mura and champion barista Lucia Gadau, who holds the prestigious title of ‘Best Barista in England, 2016’. They already had a logo but wanted a simple website for an initial online presence, nothing too complicated was the brief. The Nettl: one site, gives them just that. The responsive ‘liquid layout’ adapts and reflows to suit any device, ideal for customers browsing on their phone or tablet. 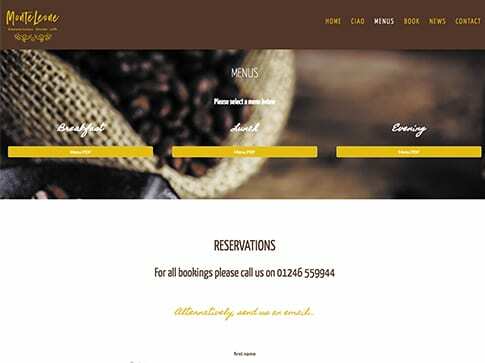 The site features various sections including menus as PDF downloads, news and enquiry form. The new site also allows the client to update content quickly when needed.